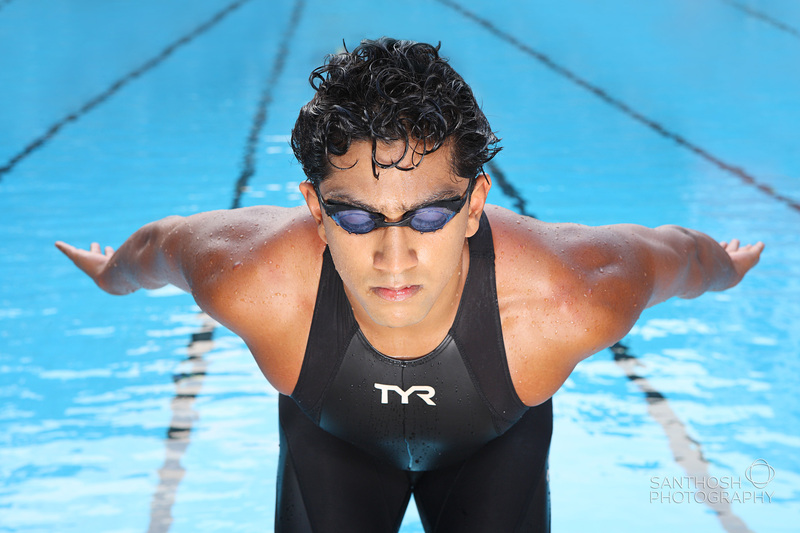 I’ve done a couple of portrait photo sessions with Swimmer Agnishwar Jeyaprakash . 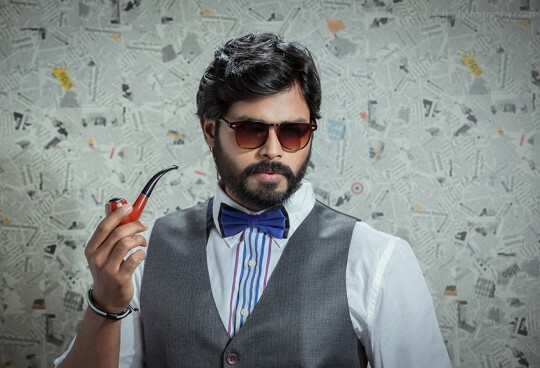 This time, however, I thought I’d do something different from the photo shoots that I did earlier with Agnishwar. Since he’s a Swimmer I decided to shoot with more splashes of water. So, one fine day we got together at the beach early in the morning – around 5.30am to catch the Sunrise and capture some nice and interesting cloud patterns. To fill-in light I used my Elinchrome Ranger battery pack. 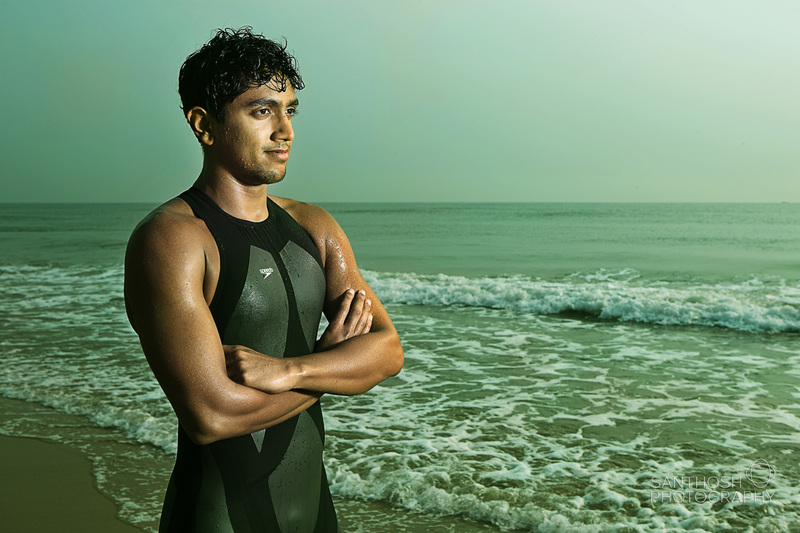 Some action from Atheletes while photographing, always make for interesting portraits, so I asked Agnishwar to get into the sea and sit in front of waves and this got me nice splashy water shots of him in the sea. Being Sunrise, I was able to take amazing shots of the glitter and sparkle on the water. Do hope you all love the images.